Baska Voda is a municipality in the County of Split-Dalmatia. It is located on the central part of the Croatian Adriatic coast, in central Dalmatia, 48 km south of Split, on the western part of the Makarska Riviera, at the foot of the massive mountain Biokovo. Formerly a settlement of laborers and fishermen, traders and seafarers, Baska Voda has grown into a modern tourist resort with all the amenities and features of a small Mediterranean town. The municipality has 5 settlements (status 2006), namely: Bast, Baška Voda, Bratuš, Krvavica and Promajna. In the Baska Voda area there are also tourist resorts of Baško Polje and village Topići. 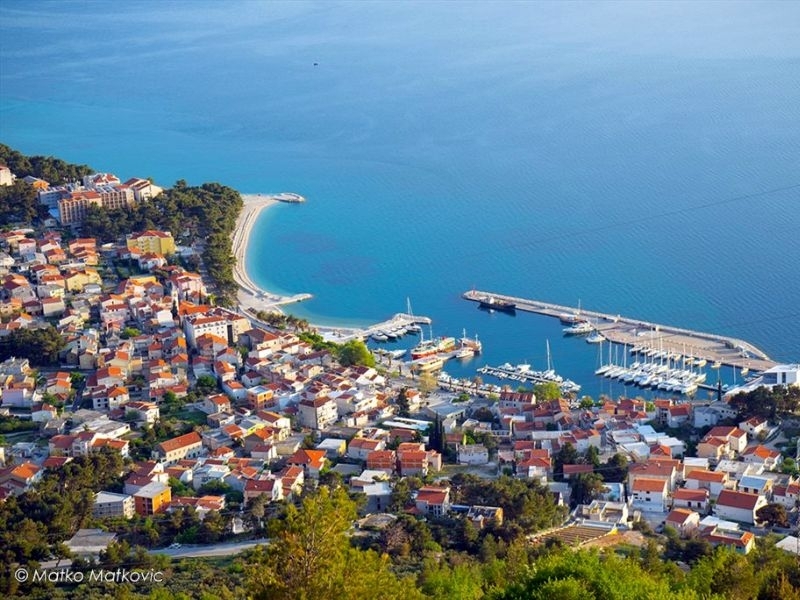 In Baška Voda, as well as in other surrounding locations, there are numerous hotels, private guesthouses, camps and apartment resorts. The main activity of the local population is tourism. During the tourist season in Baska Voda there is the largest number of tourists from all tourist places of the Makarska Riviera because of its beautiful beaches and crystal clear sea.